KUALA LUMPUR, Malaysia - The Malaysian government filed criminal charges against Goldman Sachs, blaming the U.S. investment bank of making false statement and failing to disclose key facts in relation to its dealings with the sovereign wealth fund 1Malaysia Development Bhd (1MDB). Following the announcement by Malaysia, Goldman Sachs argued that the charges were "misdirected" and vowed that it would "vigorously defend them." The charges filed in Kuala Lumpur by the Malaysian government was the first criminal action taken against the U.S. bank over the 1MDB scandal. Three Goldman Sachs units faced charges for the banks role as underwriter and arranger of three bond sales that raised $6.5 billion for 1MDB. Apart from the Goldman units charged, the former Goldman partner Tim Leissner, 1MDB employee Jasmine Loo and a Malaysian financier Jho Low were charged by the Government as part of the investigation into suspected corruption and money laundering at 1MDB. The charge sheets revealed that the alleged crimes carry penalties of up to ten years in prison and fines of at least 1 million ringgit ($240,000). Goldman Sachs (Asia) LLC, which is a key U.S.-registered unit of the bank, London-based Goldman Sachs International and Goldman Sachs (Singapore) PTE are named in the charges. Further, Malaysia said in a statement by the government that it would Goldman and the others would have to pay the $600 million in fees that the bank received for the deal and the allegedly misappropriated $2.7 billion bond proceeds. In a statement, Malaysia's Attorney General Tommy Thomas said, "The charges arise from from the proceeds of three bonds issued by the subsidiaries of 1MDB, which were arranged and underwritten by Goldman Sachs." 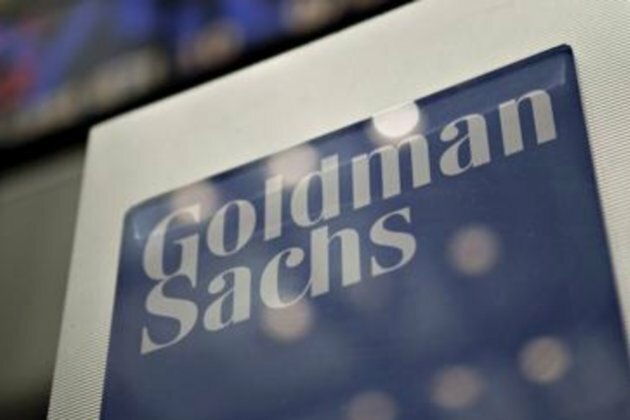 However, Goldman Sachs has denied wrongdoing and responded to the charges filed by the Malaysian government, by arguing that certain members of the former Malaysian government and the sovereign wealth fund had lied to the bank about the proceeds of the bond sales. Goldman Sachs said in its statement, "Under the Malaysian legal process, the firm was not afforded an opportunity to be heard prior to the filing of these charges against certain Goldman Sachs entities, which we intend to vigorously contest. These charges do not affect our ability to conduct our current business globally." The bank added, "The firm continues to co-operate with all authorities investigating these matters." Further, Goldman Sachs spokesman Michael DuVally has said in a statement, "Certain members of the former Malaysian government and 1MDB lied to Goldman Sachs, outside counsel and others about the use of proceeds from these transactions." Adding, "1MDB, whose CEO and Board reported directly to the prime minister at the time, also provided written assurances to Goldman Sachs for each transaction that no intermediaries were involved." Initially hailed as a game changer for Malaysia, the 1Malaysia Development Berhad (1MDB) state investment fund was set up to attract foreign direct investment, that would help in the long term strategic development of the country. Suspicions turned into accusations of underlying corruption in the usage of the fund - with all fingers pointing at the man who had set up the now-defunct state investment fund in 2009 - Malaysias former Prime Minister Najib Razak. Razaks decision to unveil the state fund during his second term in office and all his subsequent actions since 2009, not only resulted in the end of the six decades long unbroken rule of his coalition in May this year, but also unleashed the biggest financial scandals the world has ever seen. The United States Department of Justice has alleged that over $3.5 billion was stolen from the 1MDB fund and some of the funds were diverted into accounts of Razak. Investigations have revealed that the funds meant for Malaysias economic development were looted for years and used to buy luxury apartments in Manhattan, mansions in Los Angeles, paintings by Monet, corporate jets and even for financing a major Hollywood movie.